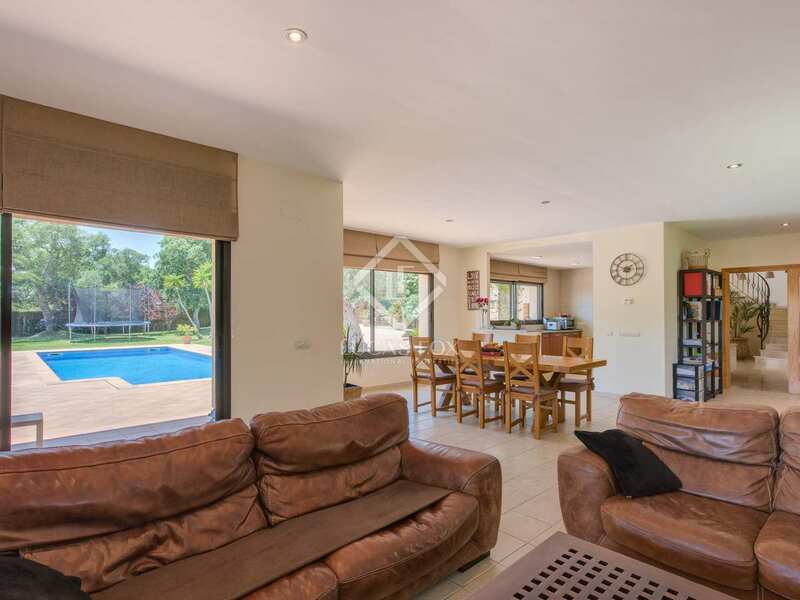 4-bedroom villa in excellent condition with a large garden and swimming pool, for sale in Mas Nou, Playa de Aro. 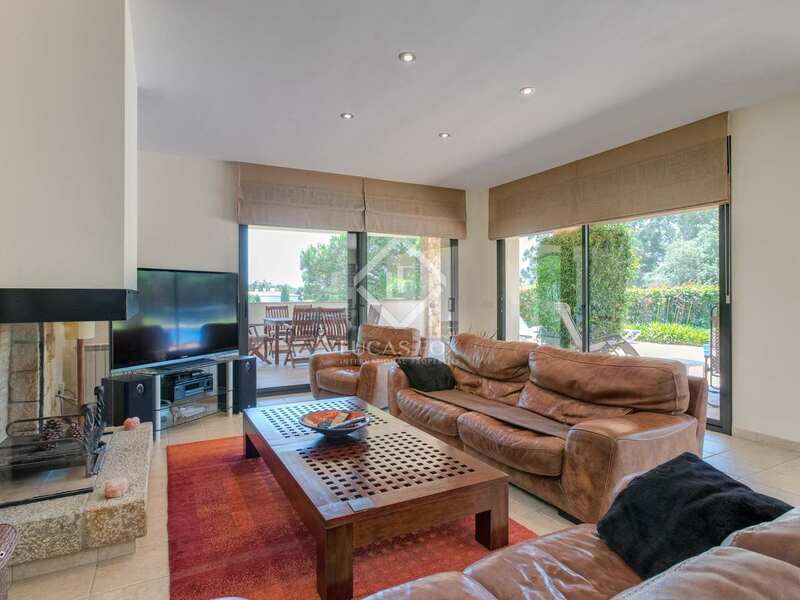 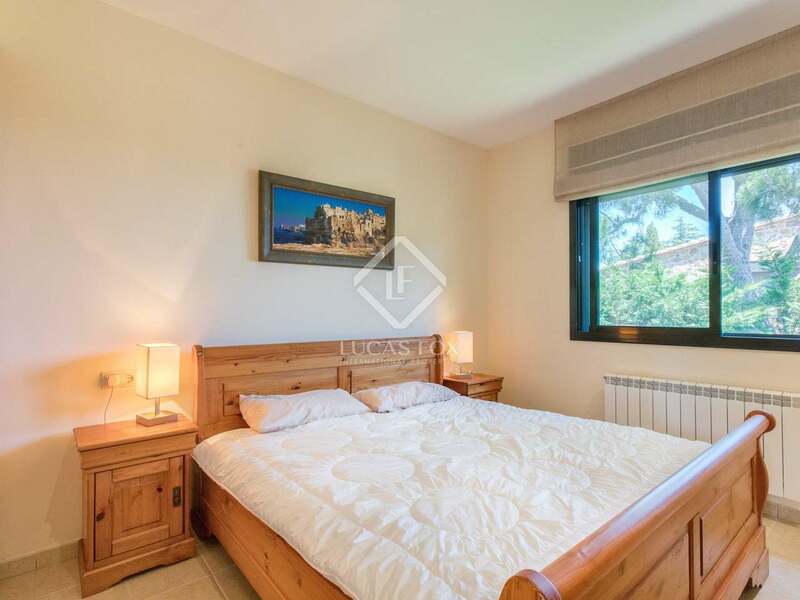 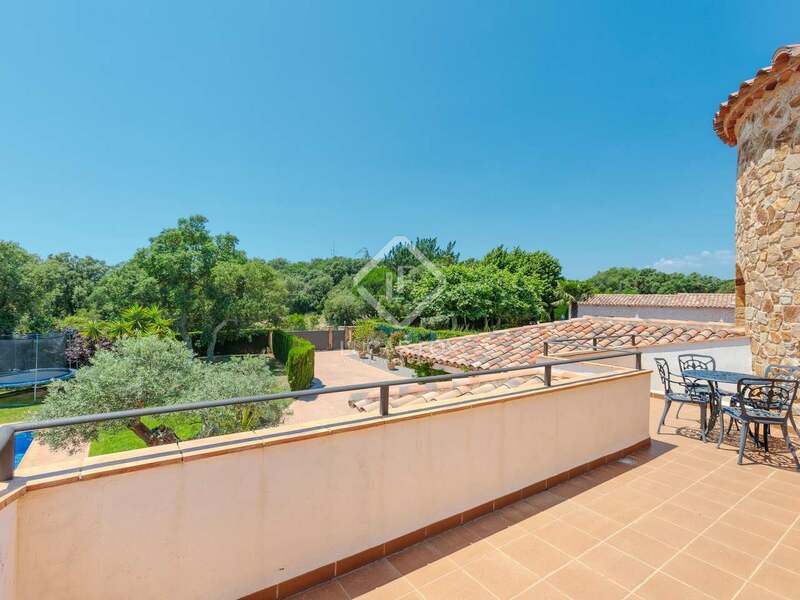 Located within the Mas Nou residential area in Playa de Aro, this property is just a few minutes' walk from the Golf d'Aro clubhouse. 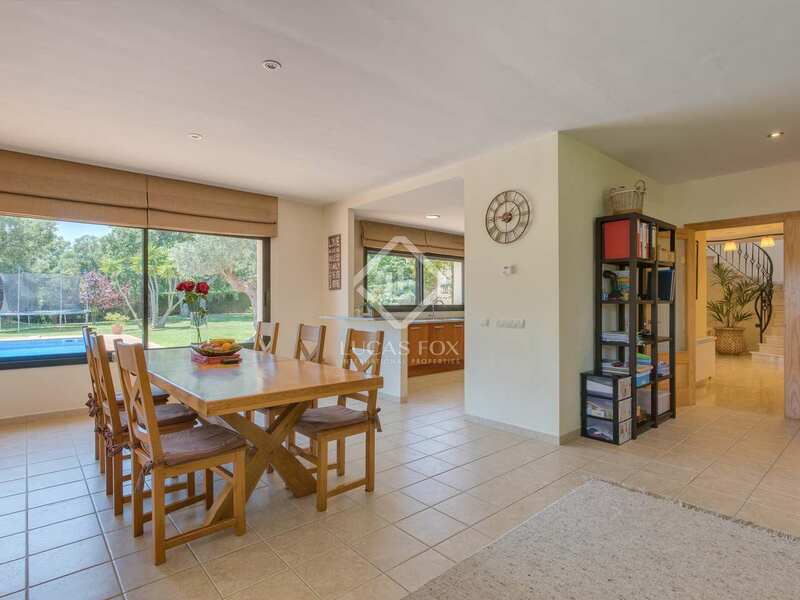 Built only 10 years ago, the property is presented in excellent condition and boasts large living spaces and abundant natural light thanks to its south-facing orientation. 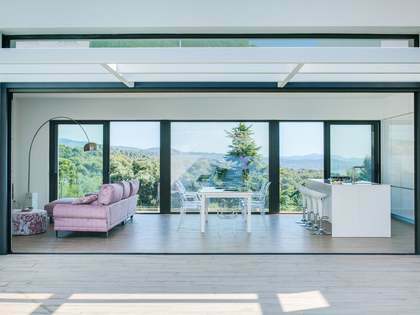 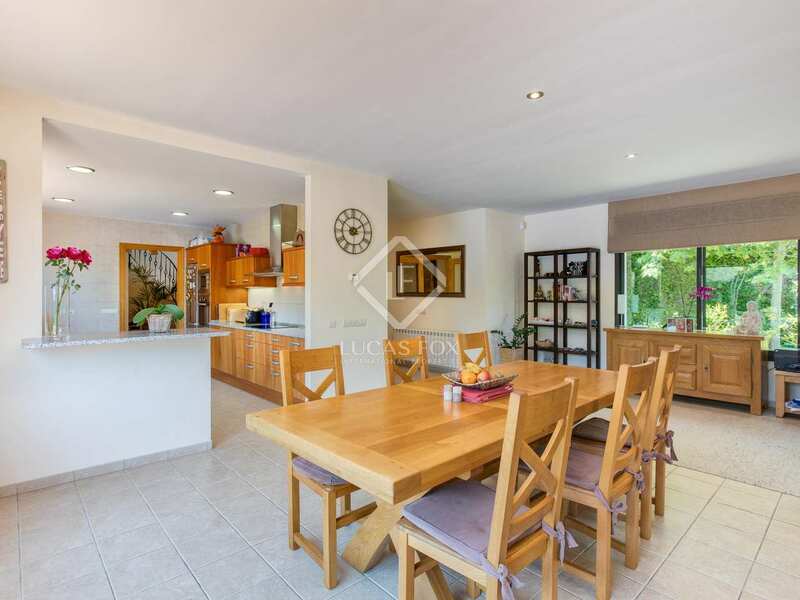 Distributed across 2 floors, an entrance hall on the ground floor leads to the open-plan kitchen, with large windows it is possible to enjoy views of the garden whilst cooking. 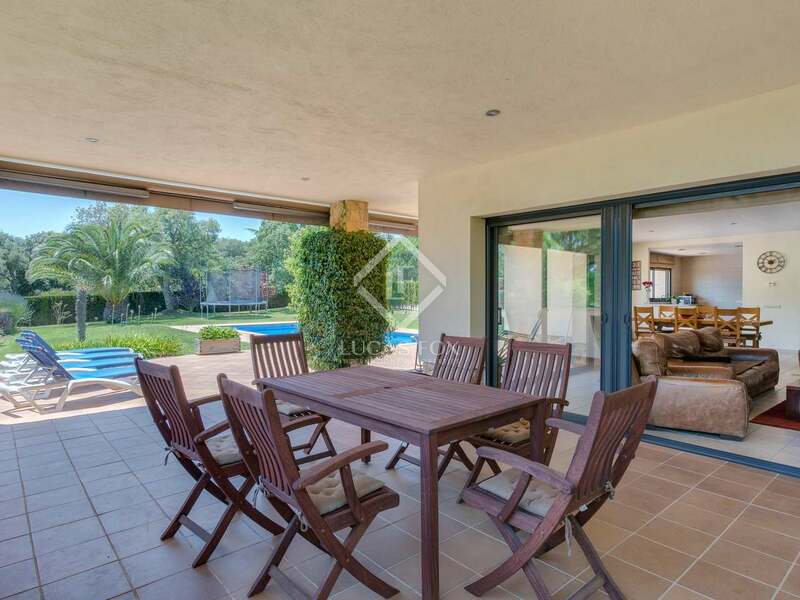 The spacious living-dining area has a fireplace and patio doors which open onto a covered porch, ideal for dining outdoors, and the garden. 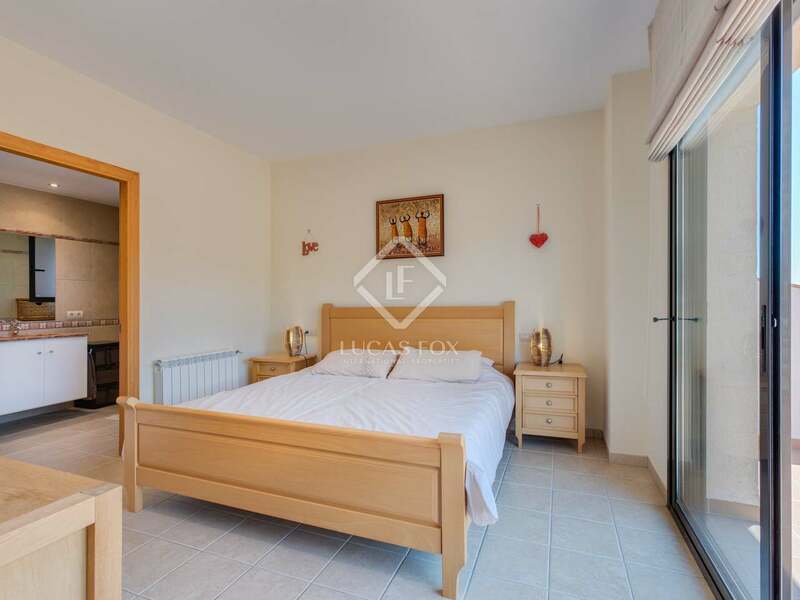 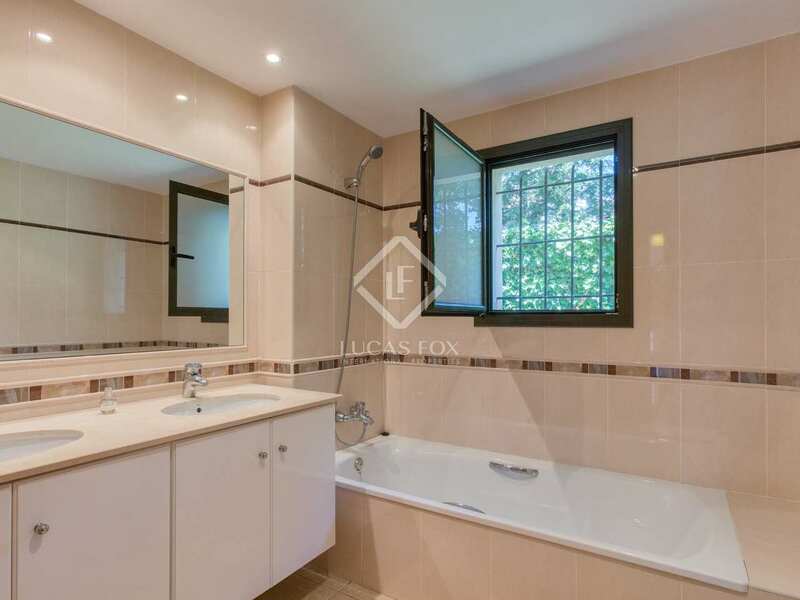 Two of the 4 bedrooms are located on the ground floor along with a bathroom with a bath. 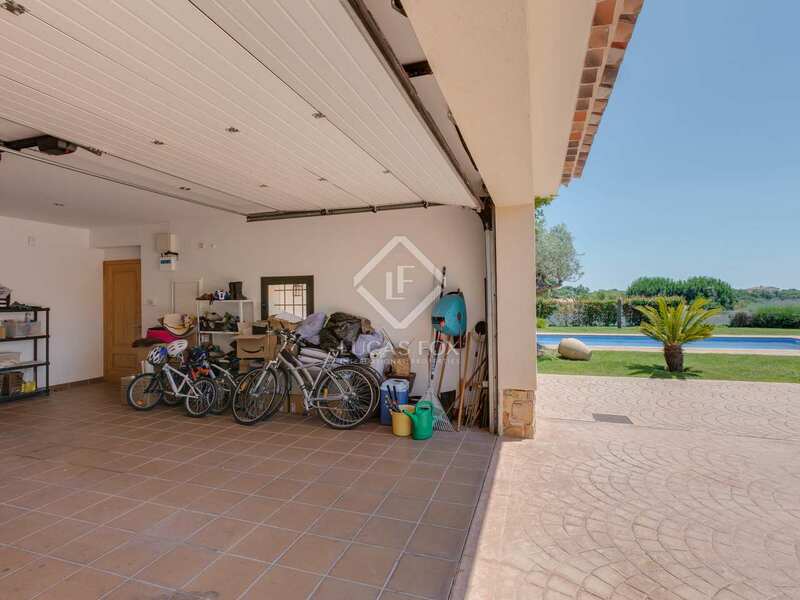 A large double garage completes the ground floor. 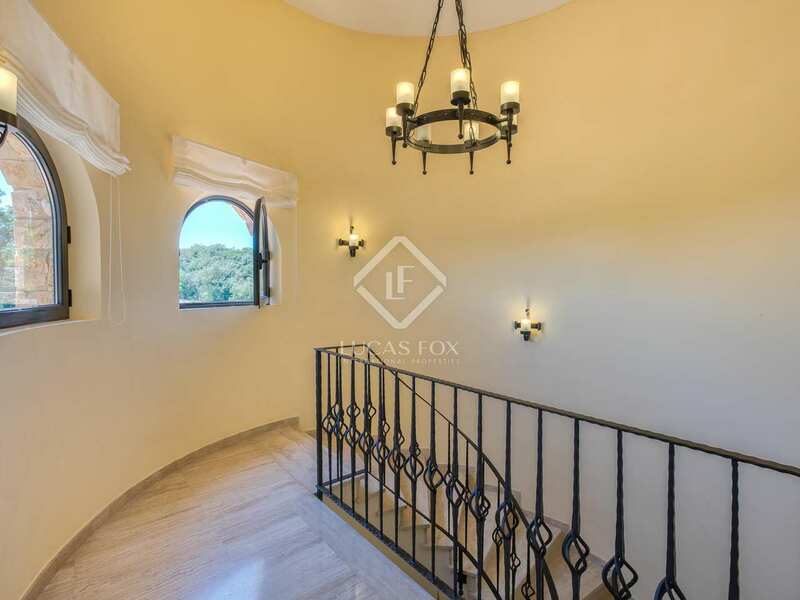 A sweeping staircase leads up to the first floor where we find the 2 remaining double bedrooms both with en-suite bathrooms and 1 with access to a private terrace overlooking the garden. 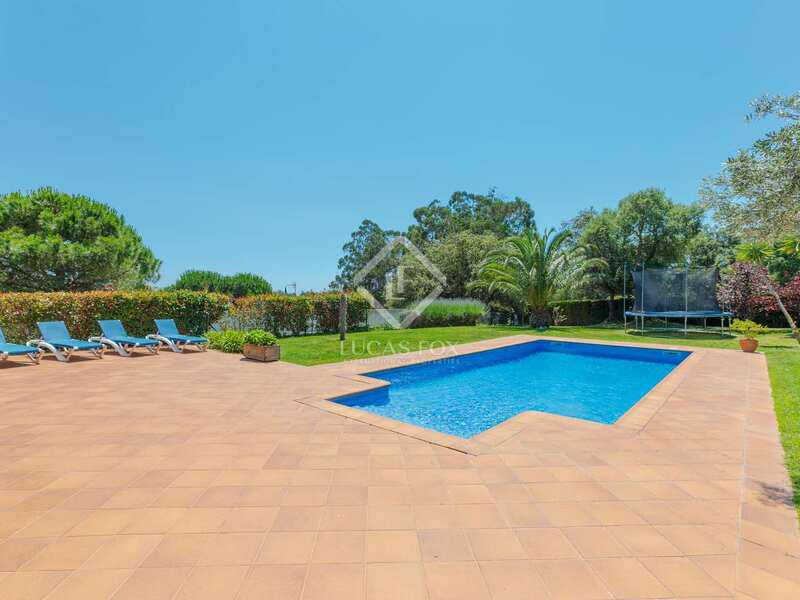 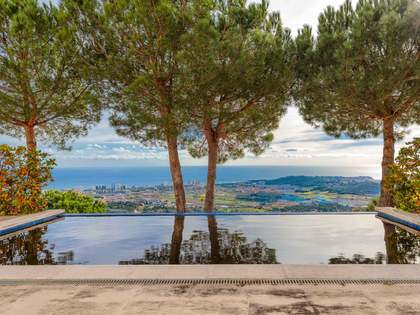 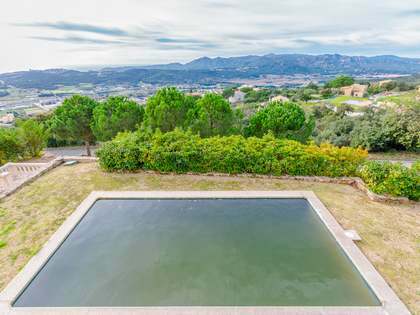 Excellent outdoor space includes a well maintained garden with a large swimming pool, perfect for enjoying the enviable Mediterranean climate. 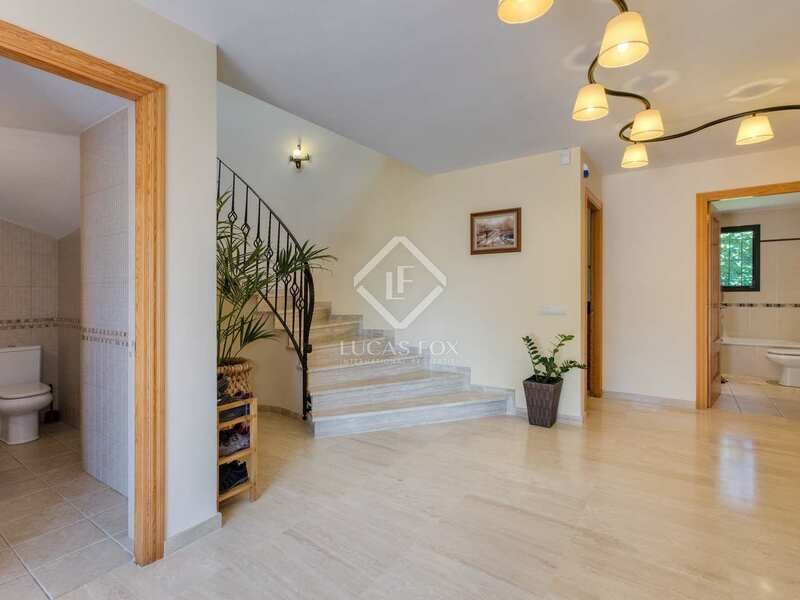 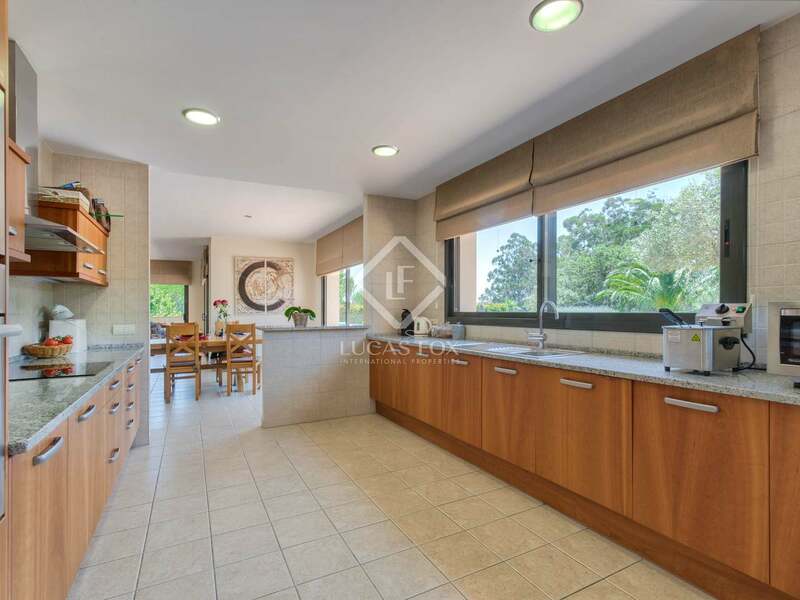 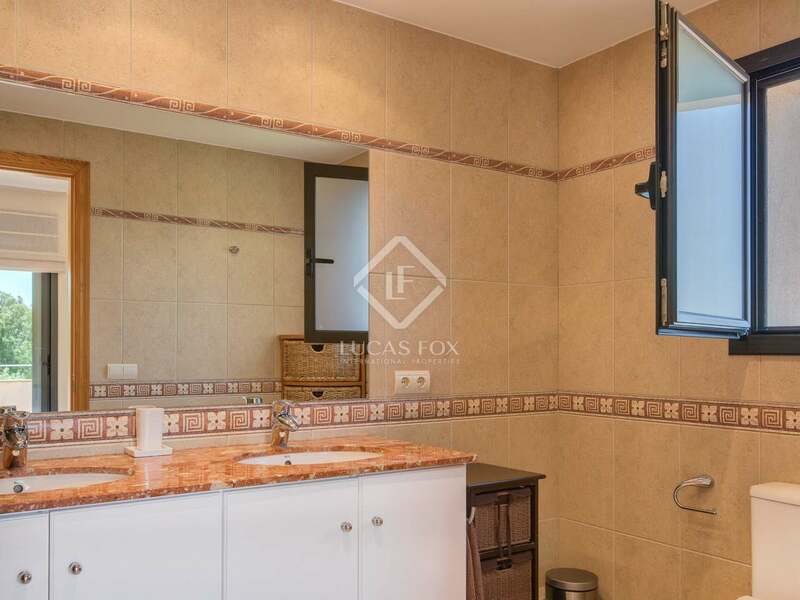 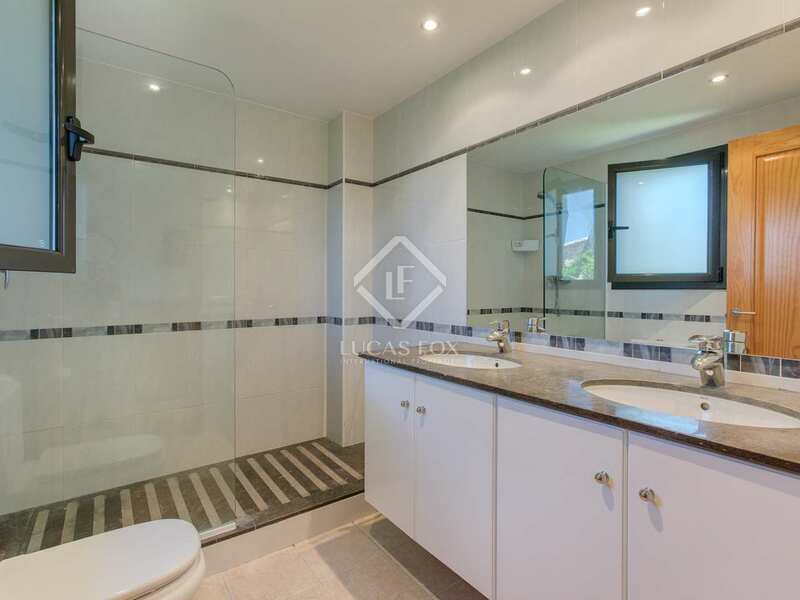 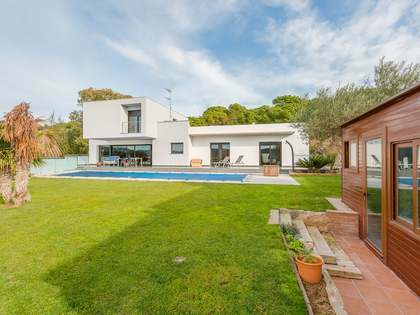 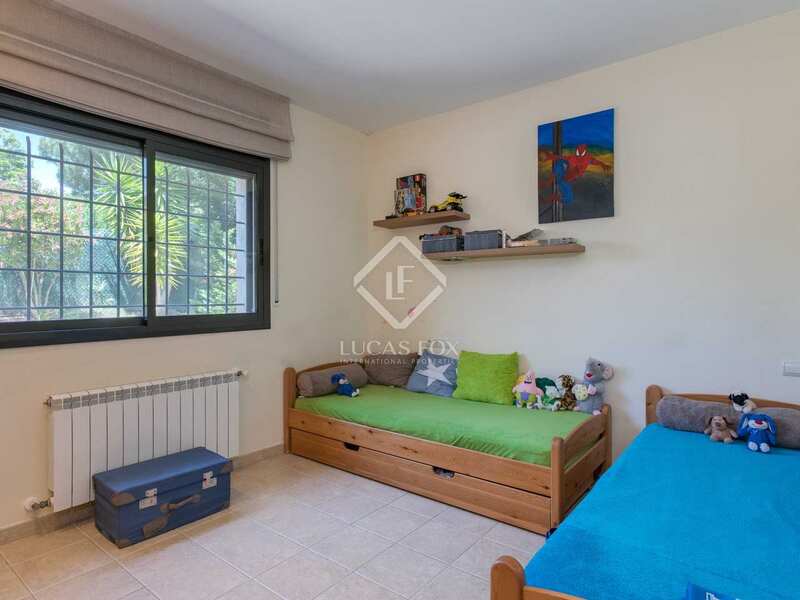 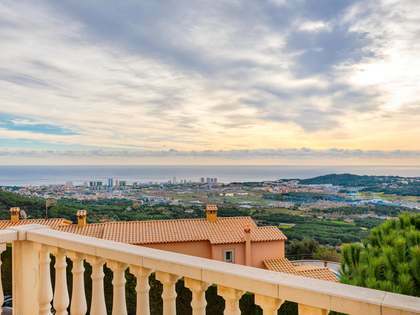 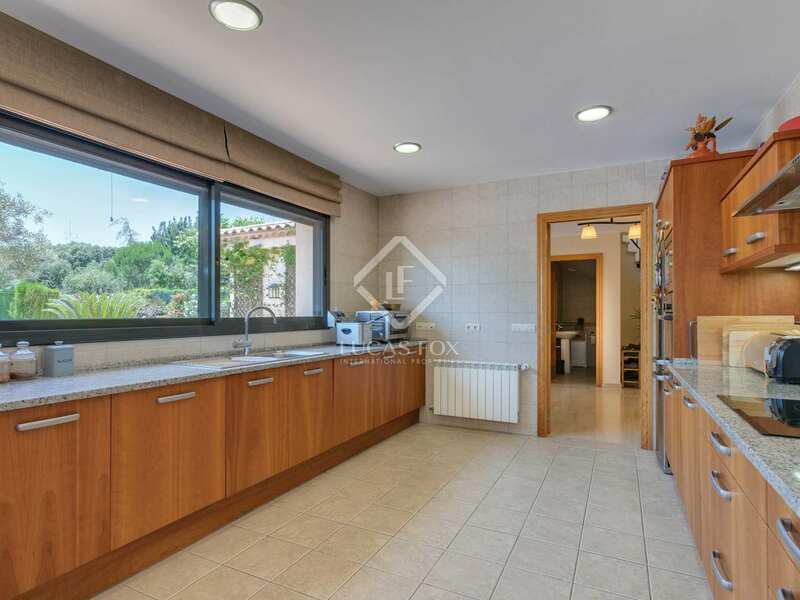 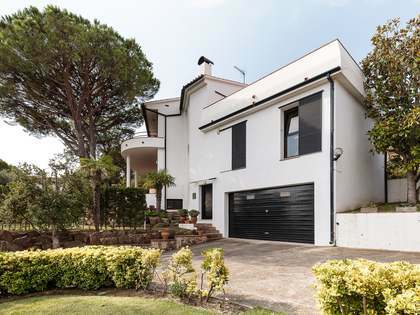 An ideal family home in a peaceful and secure residential area in Playa de Aro. 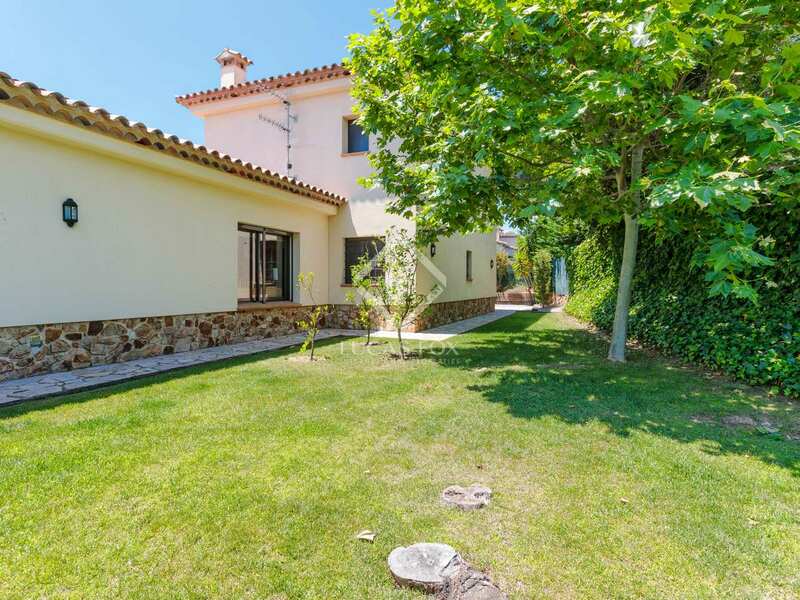 Property located close to the Golf d'Aro clubhouse in the peaceful Mas Nou residential area, close to the beautiful beaches of Playa de Aro.